Visible Systems | Everything you need to get organized! Visible Systems Everything you need to get organized! 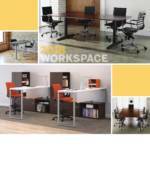 Furniture/Equip.We now offer the biggest & best selection of office furniture. We also offer many options on filing equipment. Open shelf & drawer file cabinets. Mobile & stationary. Used Equipment available as well. ServicesWe offer repair work, re-location of filing systems, & conversion services. All done by experienced installers. We specialize in personal service. You will talk to a person who understands and cares about you and your filing needs. Our products are designed for the medical, dental, veterinary, & legal offices. We have a wide variety of filing products and we can customize filing products to fit your requirements. 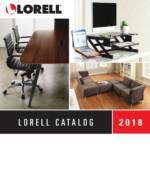 Special fastener positions, pockets, indexes, dividers, printed folders, strip labels, etc. For more than 35 years Visible Systems has been filling the needs of its customers in and around the Tri-State area. Our loyal customers have helped us to become one of the leaders in the filing industry. Stay on top of what's happening with Visible Systems. Sign up to receive occasional news and special offers. To talk to us, visit the Contact page.